Around the world, people choose to eat or avoid certain foods depending on their religious belief. Some beliefs have been followed for centuries and are well established as part of life.A healthy and varied diet is important for good health. "O People! Allah is al-Tayyib (Pure), and He only accepts that which is pure! Allah has commanded the believers what He has commanded the Messengers, for He said, 'O Messengers! Eat from the pure foods, and do right,' and He said, 'O you who believe! Eat from the pure and good foods We have given you.'" Then the Prophet SAW mentioned a traveller on a long journey, who is dishevelled and dusty, and he stretches forth his hands to the sky, saying, "O my Lord! O my Lord!" - while his food is unlawful, his drink is unlawful, his clothing is unlawful, and he is nourished unlawfully; how can he (expect to) be answered? It is noticed in this hadith that the PProphet SAW emphasised this person's impure earnings by detailing the fact that his food, clothes, drink and nourishment were all obtained from the impure. From this hadith, we learn that both the prophets and the believers have been commanded to eat from the tayyibdt, or the pure things. Purity is achieved when one earns his sustenance in a halal manner, and then uses it to buy halal food. So, if a person buys pure food from stolen money, this will not be accepted from him. Likewise, if one earns money from permissible means, then uses it to buy impermissible items, such as intoxicants, this too will not be accepted from him. Only when both of these conditions have been met - the way one earns money and the way one spends it - will Allah's acceptance be gained. Furthermore, there are a number of narrations that signify that earning through halal is an obligation upon every Muslim.It is because of this that Islam encourages working. The taking of a profession is encouraged because it is one of the best ways that a person can ensure earning pure sustenance. 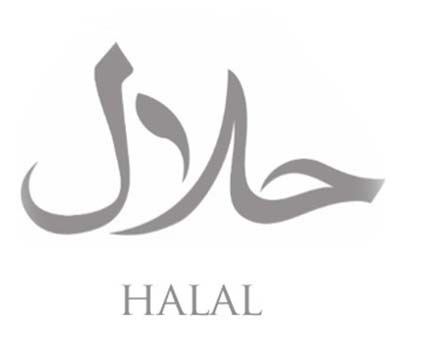 As mentioned earlier, there are two aspects to halal sustenance, the first involving earning through halal means (as discussed above), and the second entailing spending only on halal items so as to ensure purity in what a person eats, drinks and is nourished on. "I sometimes return home to my family, and I find a date fallen on my bed, so I pick it up to eat it, but then I fear that it might be from charity, so I throw it away." The Companions, too, were careful about how they earned their sustenance. Once, a servant of Abu Bakr's came to him with some food, so he ate from it. The servant then asked him, "Do you know where this came from?" He replied, "From where?" The servant responded, "I practised astrology once in the times of Jahiliyyah — even though I am not an expert in it, except that I managed to trick the other person. So he paid me, and gave me what you ate!" Hearing this, Abu Bakr put his finger in his mouth and forced himself to vomit up the food, until there was nothing left in his stomach. In yet another indication of the piety of the early generations, Sa'ad ibn Abi Waqas, one of the famous Companions of the Prophet SAW, was once asked, "Why is it that your prayers are responded to, amongst all of the other Companions?" So he replied, "I do not raise to my mouth a morsel except that I know where it came from and where it came out of." "What I fear for you after me (is) what will be given to you from the magnificence and beauty of this world, except that good never brings about evil. The fruits that are harvested in spring cause death (for the animal that eats it), or brings it close to death, except for the one that eats khadir. So when it (the animal) eats this until its stomach is full, it faces the sun and releases its bowels and urinates (i.e., with ease), then pastures again. And verily this money is enticing and sweet. So how great is the Muslim companion (to it), who gives it to the poor and the orphan and the way-farer. So he who acquires it justly, and puts it in its proper place, then how great a helper it is! But he who takes it unjustly, is like the one who eats but is never satisfied, and it will be a witness against him on the Day of Judgement." In this beautiful hadith, the Prophet SAW drew a parable between the one who does not care how he earns, but rather takes everything he finds, like the animal that eats from all types of crops in the spring. Spring is the season that gives crops which are generally not suitable for animals to eat. So this is an indication of a greedy person, whose only desire is to increase his or her wealth, regardless of the consequences. Such a person is never satisfied, but rather eats, and eats, and eats, until he or she is destroyed, or is almost about to be destroyed, just like the animal that eats excessively. However, the wise person chooses with care how to earn sustenance, and picks the right types of food to eat. Such a person only takes what is needed, and does not become excessively involved with earning more than the basic needs. Such a person will live a comfortable life, just like the animal that eats the right crop in moderate quantities. Furthermore, such a person will be able to earn more, when the need arises, just like this animal will be able to pasture again when it needs to. How beautiful, then, is this money when earned properly and spent properly! And how evil it is, when earned improperly, and spent improperly!